Recent trade tensions between the US and China have increased market volatility on both sides of the Pacific. Will these tantrums escalate or are they just a negotiation tactic? The rhetoric from the Trump administration about China trade may be hot, but I believe the odds of a trade “war” are low, for two reasons. First, Chinese President Xi Jinping doesn’t want this conflict, and is, in my view, prepared to deal. After many years of protecting the country’s domestic services and financial firms, he can now further open those markets, and better protect foreign intellectual property, without fear. I think Xi is prepared to offer concessions that will be sufficient for Trump to declare victory. Second, many in the US—from farmers to manufacturers to Republican legislators—seem opposed to Trump’s aggressive approach, and the stock market tends to fall every time someone mentions the prospect of a trade war. 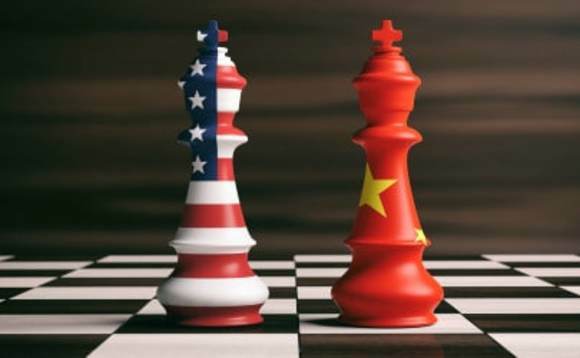 I expect that political pressure from those constituencies, nudged along by Xi’s well-targeted retaliation list, will lead Trump to decide that a negotiation that enables him to declare victory, as he did with the renegotiation of the free trade agreement with South Korea, will be preferable to continued bilateral strife. Additionally, Trump understands that he needs Xi’s help with two of the most challenging strategic issues on his agenda: nuclear weapons programs in North Korea and Iran. It is worth noting that an imposition of tariffs or quotas will have a very modest impact on the Chinese economy which is no longer export-driven. Net exports (the value of exports minus the value of imports) account for only 2% of China’s GDP. In contrast, domestic consumption accounts for the majority of China’s economic growth and more than half of its GDP. Because the US takes only about 19% of China’s exports, Trump’s proposed taxes will apply to only a small minority of China’s total exports, mitigating the overall impact. It is also worth noting that much of the impact of the proposed taxes will not be borne by Chinese companies: about two-thirds of the 25 largest exporting companies based in China are foreign owned. Moreover, one-third of the value-added from all Chinese exports actually accrues to other countries, including American partners such as Japan, South Korea, Taiwan and Germany, as well as to American companies. The Chinese economy, however, will have a significant impact on your portfolio, even if you may not own shares in a Chinese listed company. This is why, in my view, investors should spend more time thinking about China. When you look at the facts and figures, you will realize scary China doom stories do not reflect economic reality. In 2016, according to data from the International Monetary Fund, China accounted for 28% of global GDP growth —a greater share of global growth than from the US, Europe and Japan combined. This trend if set to continue with the World Bank forecasting this number to rise to 35% between the period of 2017 and 2019. 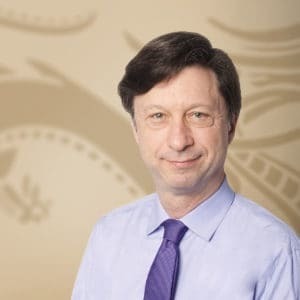 China therefore has a big impact on everything from global commodity prices to how the Fed thinks about U.S. monetary policy, and on the fortunes of many multinational firms. In the first quarter of this year, China remained the world’s best consumer story. The rebalancing of the Chinese economy continued, with consumption accounting for 77.8% of GDP growth. This great consumer story is not, however, immune from the trend of decelerating economic growth, with real retail sales up 8.1% over the first quarter of this year, down from 8.6% during the same period last year, and 9.7% and 10.8% two and three years ago, respectively. We expect his number –and most economic data points in China –to continue to grow more slowly every year, but we also expect the deceleration to continue to be gradual. Per capita urban household income rose 5.7% in the first quarter, down from 6.3% a year ago, largely because inflation was a bit higher. This, along with mild consumer price inflation (2.1%), underpins the consumer story. Online retail sales of goods rose 34.4%, despite the very strong base of 25.8% growth a year earlier. Meanwhile Chinese company earnings are still looking strong. After rising 21% last year, it is inevitable that profit growth at larger industrial firms will cool in 2018 on a year-on-year basis. But a growth rate of 16.1% during the first two months of the year (the latest data available), off a base of 31.5% during the first two months of 2017, is still satisfying. Operating margins for these firms (many of which are not listed on a stock exchange) reached levels not seen since 2011. Several factors should support continued strong earnings growth this year, across a wide range of sectors: tax cuts; enforcement of policies designed to reduce excess capacity (“supply side reforms”) and to reduce pollution; as well as strong domestic demand. Another important consequence of supply side reforms has been a small, first step in dealing with China’s debt problem. The liabilities-to-assets ratio among state-owned industrial firms — which account for most of the total debt burden — peaked in 2013 and has begun a modest decline. So, while it is reasonable to be focused on the prospects of a trade war, investors should not be overwhelmed by the surrounding noise. Strong income growth, moderate inflation, healthy corporate earnings and low dependence on exports should insulate China’s economy from any potential trade conflict and provide opportunities for equities investors.